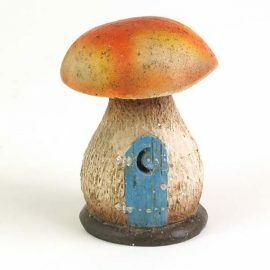 Home / Shop / Fairy Houses / Toadstool Houses / Magical Double Mushroom Fairy House. 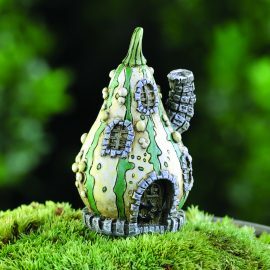 Magical Double Mushroom Fairy House. 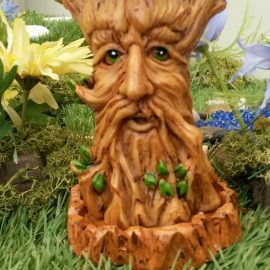 Size 23cm high – 17cm wide – 14cm deep. 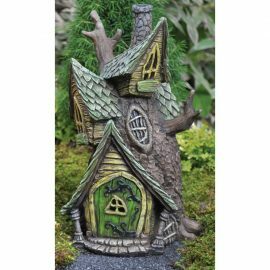 This Mushroom houses 2 mushroom house, wood effect door,2 windows in roof and a small whole in 2nd house. 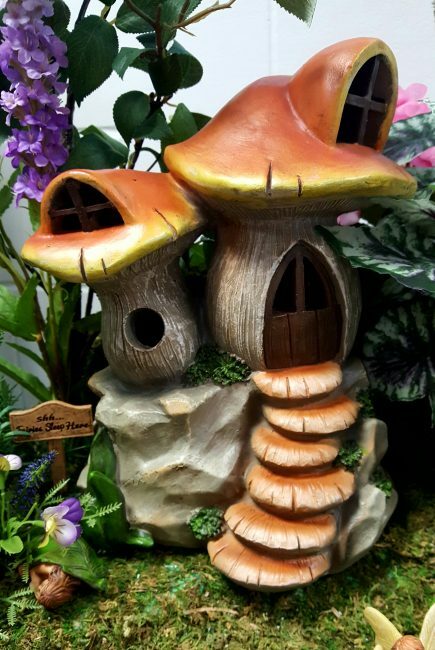 It is sitting on a rock with 6 mushroom head steps leading up to house. They both have orange mushroom roofs.